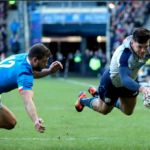 Scotland coach Gregor Townsend has made four injury-enforced changes to his starting lineup to face France in Paris on Saturday. 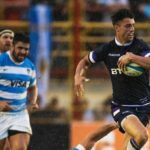 Scotland and Argentina will be desperate to bounce back from disappointing results when they meet for the second time this year. DYLAN JACK reports. Gregor Townsend says his Scotland side will have to build on the win against Fiji if they are to stand any chance of beating the Springboks this Saturday.